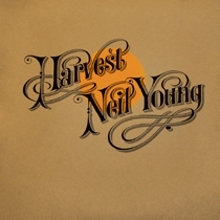 Neil Young is an iconic Canadian singer-songwriter and musician who began performing in a group covering Shadows instrumentals in Canada in 1960, before moving to California in 1966, where he co-founded the band Buffalo Springfield, and later joined Crosby, Stills & Nash in 1969. He released his first album in 1968 and has since forged a successful and acclaimed solo career, spanning over 45 years and 35 studio albums, with a continuous and uncompromising exploration of musical styles. The Rock and Roll Hall of Fame website describes Young as "one of rock and roll's greatest songwriters and performers". Young's music is characterized by his distinctive guitar work, deeply personal lyrics and characteristic alto or high tenor singing voice. While Young has experimented with differing music styles throughout a varied career, including electronic music, most of his best known work is either acoustic folk-rock and country rock or electric, amplified hard rock (most often in collaboration with the band Crazy Horse). Musical styles such as alternative rock and grunge also adopted elements from Young. His influence has caused some to dub him the "Godfather of Grunge".